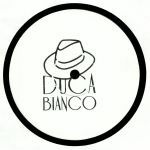 Review: To date, Rimini's Duca Bianco has put out just two 7"s, by Cherrystones and Tom Bolas specifically. Now the label widens the net with a various artists 12" that features four disco-not-disco burners for adventurous party people to shake down to like they're in 1980s New York. S&C present "Drug Of A Nation,", a raw, funky garage rock jam embellished with wild synth parts. Tom Bolas brings things to a more Afrodisco flavoured peak with a cheeky famous funk lick and killer robo vocoder. Hanoben / ADSX take things in an Italo direction with 'Dreifaltigkeit" with some incredible vocals to boot. Schmoltz sets things adrift in supreme Balearic style on "Starnight."